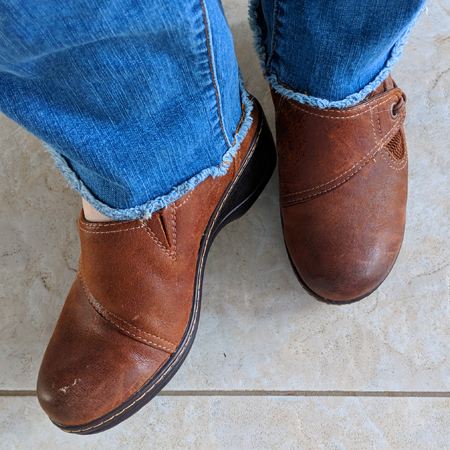 I'm sorry it's been awhile since the last OMG SHOEZ thread, but I haven't had any new shoes to show off. 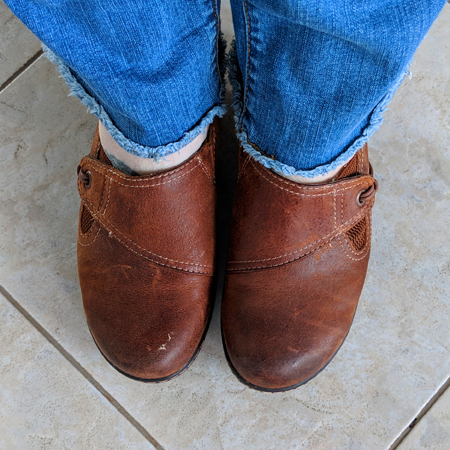 And I still don't — which is why I'm featuring a favorite pair of old shoes today! Although lots of people (quite understandably) hate the look of any scuffed shoes, I think the scuffs on this weathered material just add character, so I don't even worry about them. The shoes have a little heel on them, but the soles are, like all of Softspots' shoes, extremely comfortable. I have walked countless miles in these things. They have held up so well. Still incredibly comfy, and the soles remain in great condition. Love them!